Burns hotter. Cleans easier. Lasts longer. 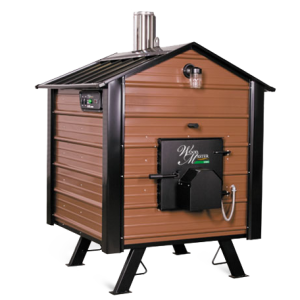 The WoodMaster CleanFire Outdoor Wood Furnace that’s EPA Certified uses a dry fire chamber to provide hotter, more efficient heat that requires minimal effort to maintain. The primary boiler is a true low pressure ASME H stamped boiler. It keeps oxygen out of the system, preventing corrosion to the water vessel. ASME certification ensures the use of the highest quality materials and workmanship resulting in a boiler life expectancy of 40 or 50 years. 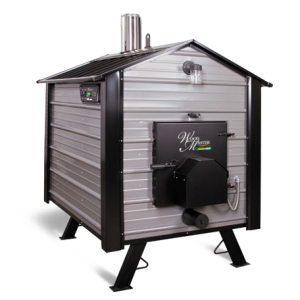 All of it is run by the exclusive WoodMaster control board, which burns at the optimum rate to meet the heat load. No batch burning or quick cycling. The board uses more than 300 settings to maintain this furnace modulation, increasing efficiency. 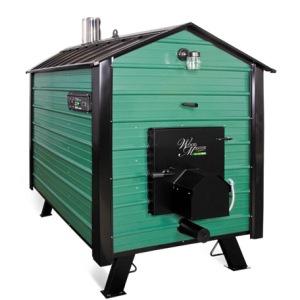 A dry fire chamber means no creosote build-up, no ash corrosion, and no need for ceramics. 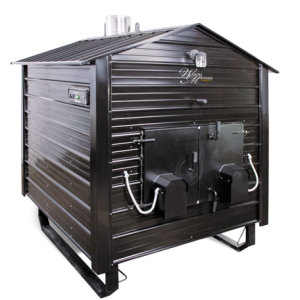 Fire chamber made from 8 gauge steel,pressure vessels made from 1/4″ mild steel. Extremely easy maintenance, can be cleaned in a few minutes. Primary and secondary air ducts equipped with 2 dampers allow for optimal burn. The remaining gasses leaving the combustion chamber are mixed with oxygen in the injection tube ensuring a complete combustion through the catalyst. The catalyst temperatures are controlled to ensure clean combustion and longevity. The heat is recovered in the heat exchanger, then exits the chimney. 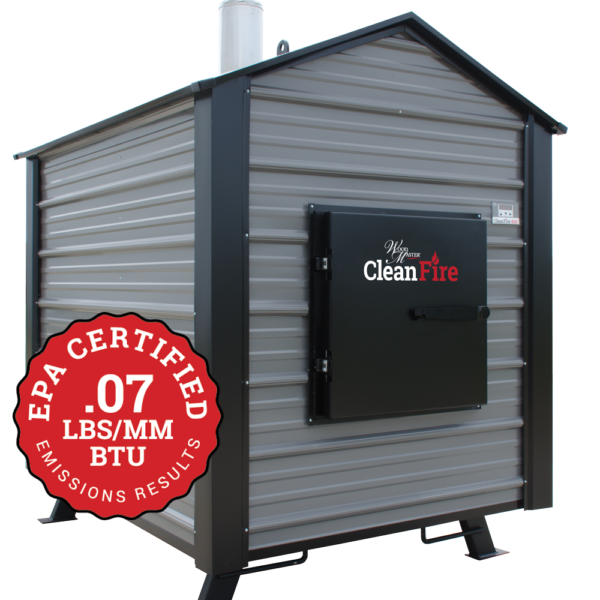 The CleanFire is equipped with a lambda sensor which monitors the oxygen levels and adjusts the boiler to maintain the optimal burn. The control is designed to read water temperature in and out, and adjust the boiler automatically to satisfy the heat load. It adjusts the fan and primary and secondary air dampers based on heat load and water temp needed. This is not a cycling boiler; it modulates for the heat load needed. Ability to connect to wifi, or basic internet, for in home monitoring or it can link to your smart phone. Built in protection to keep the catalyst from overheating. The heat exchanger tubes should only need to be cleaned twice a year. The ash in the bottom chamber of the heat exchanger needs to be cleaned as needed, again, very minimal. Separate blow down valves for each vessel. Pump conveniently located in the house. Equipped with 1 ¼ “ plumbing for single or double hook-ups. Equipped with four chimney tie downs. Guy-wire ready for extended chimney.